From early childhood through the teen years, Young People’s Concerts™ nurture a lifelong love of music and concert-going. Concerts explore real musical topics through repertory of all periods, including the newest works, in series tailored to three distinct audiences. For children 3–6 and their families. For children 6 and up and their families. 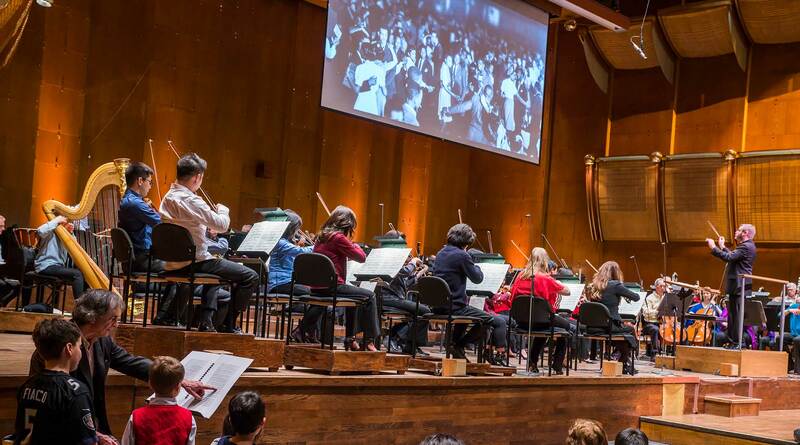 The Saturday afternoon series, made famous by Leonard Bernstein on live television in the 1960s, is now a multimedia, interactive experience, each season taking a different approach to the repertory. Philharmonic Teaching Artists and partner teachers have adapted Young People’s Concerts to classroom audiences, complete with curriculum and teacher training. Games, activities, and information about the Orchestra!